Tuck into Instagram-worthy dishes at the soon-to-open Soup Spoon Union x Cartoon Network Cafe at Punggol Waterway Point. The 93-seat cartoon-themed cafe, which also features a kid's corner, opens on Saturday at noon. 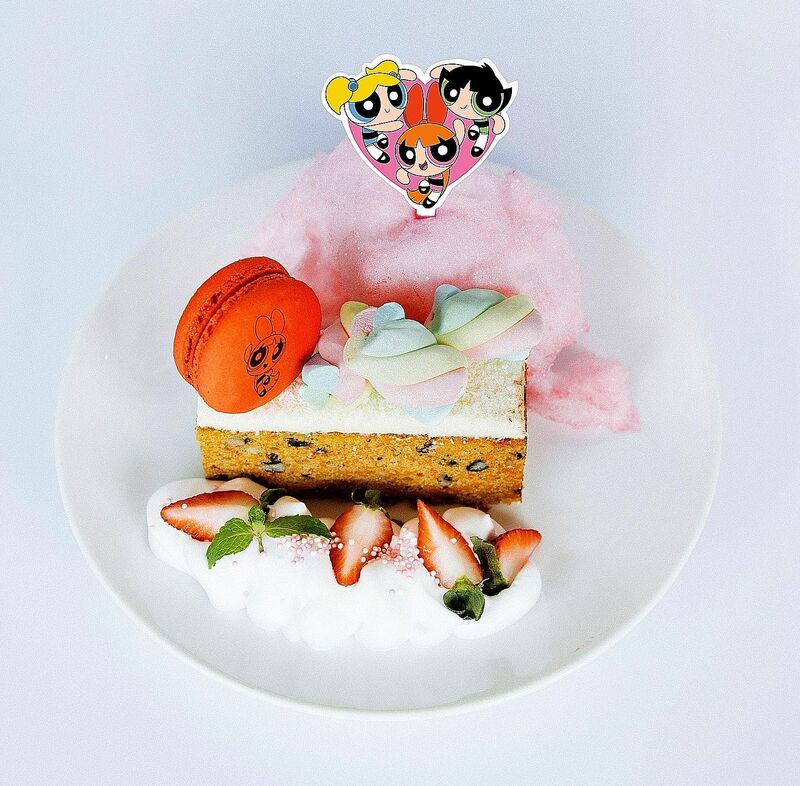 From folded pizzas with panda ears to Powerpuff Girl-stamped macarons, the eatery will feature a total of four appetisers, nine main courses and five desserts. Dishes include Pan-Pan Calzone, inspired by We Bare Bears' panda character Pan Pan ($10.90++); a cheesy and crusty Omnitrix Pizza ($14.90++), with pepperoni and seaweed for Ben 10 fans; and a black pepper seafood pasta featuring Finn the Human from Adventure Time. For dessert, there is the Blossom Carrot Cake ($14.90++), with multi-coloured marshmallows, a hot pink macaron and baby pink candy floss. It is named after the Powerpuff Girl. Cartoon Network fans will be treated to appearances by Powerpuff Girls and Ben 10 mascots on the opening day. The Soup Spoon is also one of the partners behind the Gudetama Cafe, an eatery that centres on Sanrio's lazy Japanese egg cartoon character Gudetama, at Suntec City Mall. Other themed cafes in town include the Kumoya in Jalan Klapa that has food offerings inspired by Miffy, the Dutch rabbit; Hello Kitty Orchid Garden at Changi Airport; Central Perk in Magazine Road, inspired by the hit American sitcom Friends; and the DC Comics Super Heroes Cafe at The Shoppes at Marina Bay Sands. • The Soup Spoon Union x Cartoon Network Cafe is at B1-12 Waterway Point Mall, 83 Punggol Central, and opens on Saturday at noon.